He managed to locate his extended family; they lived somewhere in the Free State. Him and his sibling endured a three month-long period of being treated like utter dirt. A government grant paid for their taxi trip back to Johannesburg. 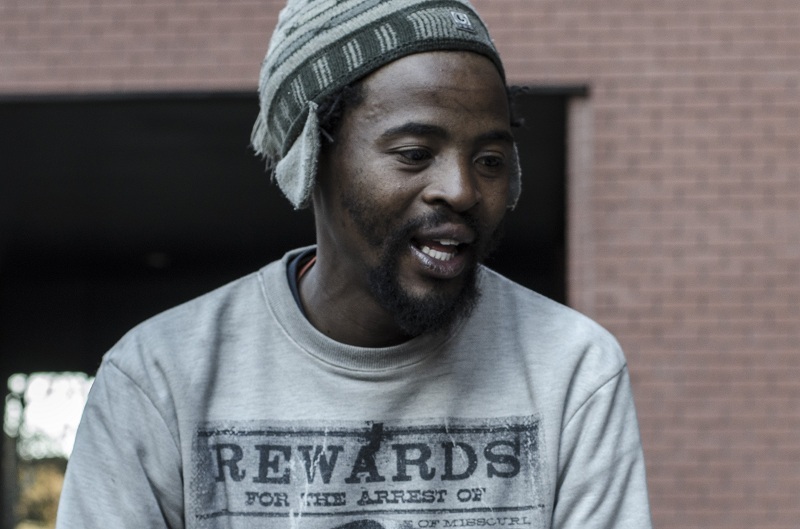 Reanetswe’s sister currently lives at a home for the shelterless, while part of his livelihood comes from attending to cars in Braamfontein. He is homeless, can rap, and apparently slaps mean basslines and capably plays percussive instruments.